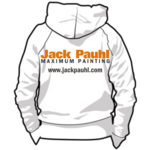 Are you new to Jack Pauhl? Jack Pauhl is all about efficiency. Its about painting stuff in the least amount of time with a high level of quality. It's about discovering a new way to paint. The goal is to establish what wastes our time, what causes problems, and what doesn't work, then avoid doing or using all of it. "I really don't understand how you keep your labor so low, its genius. I mean, it takes us three times longer and I thought we were quick." The effectiveness of any system is learning what not to do. Doing nothing is quicker than doing something. The overall system is simple in design. Collectively all of the things that fall under 1,2,3 above (tools, products, methods) have been identified as a waste of time. By not doing things that waste time, you instantly save time. It's just that simple. 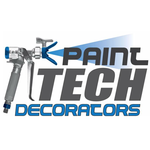 With a little bit of digging and a modest amount of tweaking, you can turn any system into a lean, mean, painting machine. The important thing, and probably the most difficult, is not compromising the list of things not to do. There will be times you break the rule and you will surely be reminded why the rule exists. We can help you best by asking, "What are you trying to do?" Post a scenario and we can work through what to avoid, (photos are helpful).